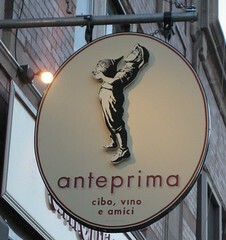 Anteprima opened a few weeks ago in a former nightclub space on Clark St. between Berwyn and Summerdale. It's small and cozy with exposed brick walls and dark wooden tables. On a recent Friday night, when a friend and I arrived shortly before 7, the place was already packed. We managed to snag the last open table in the room. The menu is not long or complicated, and there were at least as many if not more appetizers than entrees. The wine list, on the other hand, is more overwhelming. All the wines are Italian, and many are offered in both full bottles as well as in "quartinos" or small carafes which contain about 2 glasses worth of wine. The sweet and sour onions, which we ordered as our appetizer, were more sweet than sour. 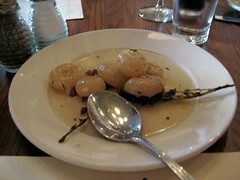 This dish's redeeming quality was the delicate texture of the roasted cipollini onions. They almost melted on a slice of bread. For the more ambitious eaters, the specials held more allure: tripe (prepared Roman style) as well as baby goat. This is serious rustic Italian cuisine. 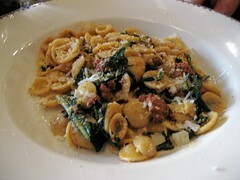 Opting not to expand our limited palates, we ordered chard and ricotta ravioli and orechietti with lamb sausage. Both were light and flavorful. The portions were not huge, but I admire a restaurant whose owners show restraint in these times of super-sized everything. Prices were reasonable ($14-$16 for a pasta entree) and we didn't have to roll ourselves out the door at the end of the meal. 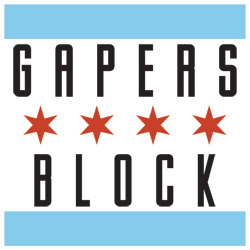 In a neighborhood that is rapidly developing, it's hard to tell which of the new establishments will last. I hope to see this one stick around. I was just there last night and really liked it. The green tile ceiling, cool lighting fixtures and artwork made for a comfy atmosphere. We had great service, too. We had the appetizer platter, which had the onions, spicy olives, marinated white beans, roasted peppers with breadcrumbs and the most amazing eggplant caponata I've ever had, and I don't even like eggplant. I love that they offer the pasta dishes in smaller or entree-sized portions. I thought the orechiette was a touch too chewy but the flavors worked well. We had the spaghetti special with fava beans, asparagus and peas with olive oil which was fantastic. The roasted quail was also tender and juicy. For dessert, the chocolate hazelnut tart and lemon panna cotta were both good. The best part was that even though they were busy, they kept refilling our water after our meal, letting us know that it was ok to sit there and talk and enjoy ourselves. I'm a fan.